Author: Walters, Eric Set In . . . 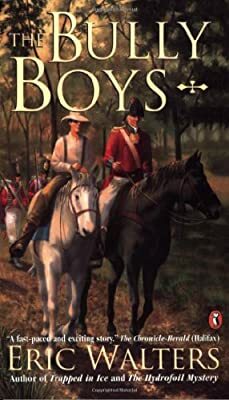 Description: The Bully Boys is the story of fourteen-year-old Thomas Roberts, who finds himself looking after the family farm when his father goes off to fight for the British army during the War of 1812. When Thomas inadvertently stumbles upon some American soldiers who are attempting to rob a local store, his quick thinking and his bravery save the day. His actions also catch the eye of the war's most famous officer-Lieutenant James FitzGibbon, leader of the unit dubbed the Green Tigers or "Bully Boys." This, Tommy realizes, is his chance to escape the drudgery of the farm and join the "real" men who are fighting for their freedom. When FitzGibbon takes Tommy under his wing for a time, the young man soon finds that war is both more fascinating and more horrifying than he had ever imagined. Based on the true events surrounding the legendary James FitzGibbon and The Battle of Beaver Dam, The Bully Boys is a moving account of a young man's experience of war.